There should be a full recognition of the fact that persons with disability were integral part of the community, equal in dignity and entitled to enjoy the same human rights and freedoms as others, the Court said. 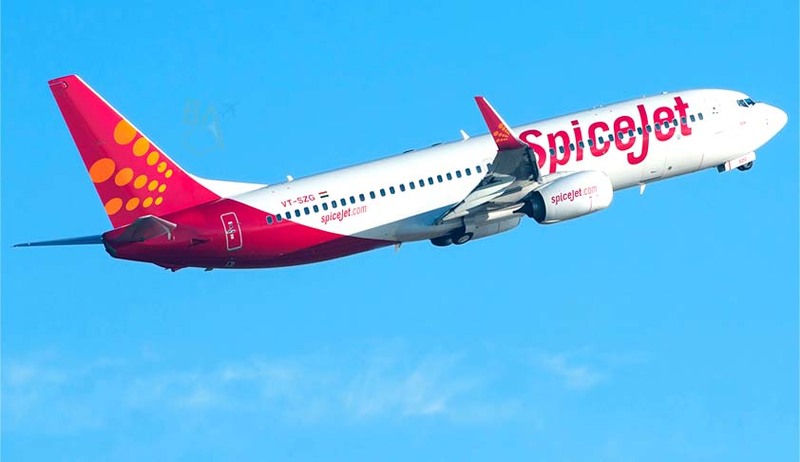 In a significant Judgment, the Supreme Court has asked the SpiceJet Ltd to pay Rupees Ten Lakhs to Jeeja Ghosh, an eminent activist involved in disability rights, for forcibly de-boarding her by the flight crew, because of her disability. Apex Court bench comprising of Justices A.K. Sikri and R.K. Agrawal also issued the guidelines with regard to 'carriage' by persons with disabilities and/or persons with reduced mobility and observed that People with disabilities also have the Right to Live with Dignity. Four years ago, while Jeeja Ghosh was in a flight to International Conference in Goa, she was approached by members of the flight crew who requested to see her boarding pass, which she gave them. Then they proceeded to order her off the plane. Despite her tearful protestations and informing them that she needed to reach Goa for the conference, insisted that she de-board. After returning to the airport and arguing with airlines officials, she later discovered that the Captain had insisted that she be removed due to her disability. Jeeja Ghosh, submitted before the Court that even after four years of the incident whenever she has a flashback, she feels haunted with that scene when she was pulled out of the plane, like a criminal and she continues to have nightmares. Through this PIL she requested the Court to direct the government to put the system in place so that other such differently abled persons do not suffer this kind of agony, humiliation and emotional trauma which amount to doing violence to their human dignity and infringes, to the hilt, their fundamental rights under Articles 14 and 21 of the Constitution. In spite of procurement of standardised assistive devices, which is mentioned at S.No. 2 above, it is pointed out by the learned counsel for the petitioners that all airports should procure all assistive equipments based on the schedule of standardised equipments and this standardisation should be done inconsultation with the Department of Disability Affairs in a suitable time frame. It is pointed out that the same is not reflected in the CAR, 2014. The explanation given by the respondents is that the standardised processes are normally better achieved through deliberation with stakeholders ensuring economic viability and Department of Disability Affairs is a separate authority which is not under the purview of DGCA. However, that could not be the reason for not making a joint effort or involving the Department of Disability Affairs. We, therefore, direct that the concerned officers of the DGCA as well as officers from the Department of Disability Affairs, which is under the Ministry of Social Justice and Empowerment, shall have a joint discussion on this aspect to consider the recommendation given by the Committee. (2) On 'Help Desk' (mentioned at S.No.4), the Committee had recommended a telephonic help desk which would be fully accessible, to be set up to receive assistance requests in advance from passengers with disability. In response, it is stated by the respondents that concern regarding help desk would be addressed through compliance of various sub-paras of para 4 of draft CAR. In spite of complying the same in an indirect manner through the said provisions, it may be considered to specifically provide for a separate help desk to take care of the complaints, queries etc. of all passengers with disability. Regarding wheelchair usage (S.No.6), though the Committee had recommended that the passengers with disabilities should be allowed to retain the use of their wheelchair, this has not been accepted keeping in view the safety of aircraft operations. The concern of the respondents may be justified to some extent, but we still feel that this aspect be reconsidered, viz. whether it would be feasible to allow such passengers to use their wheelchairs, at the same time imposing conditions which may take care of safety. We say so because of the reason that in the Committee there were representatives from security agencies as well and still such a recommendation is made which implies that the members of the Committee would have kept in view the safety norms and yet made this recommendation as it appeared to be feasible to them. In spite of security check of such disabled passengers, the Committee has suggested, in Annexure 4, in detail the manner in which security check should be handled by the Central IndustrialSecurity Force (CISF). Admittedly, in the CAR this has not been incorporated. The issue is skirted by merely stating that security check and their training is under the purview of Bureau of Civil Aviation Security (BCAS). BCAS can be involved and in consultation with the officers of BCAS this aspect can be reconsidered. Insofar as facilities to passengers with disability while on board the aircraft is concerned (S.No.11), the suggestion of the Committee was that the communication of essential information concerning a flight should be in accessible formats. Likewise, flight entertainment should also be in accessible formats and the cabin crew should assist the passenger to access toilet if requested using on-board aisle chair. We find that para 4.1.5 of the CAR does not cover all the aspects of the recommendations given by the Committee. It would be more appropriate to incorporate the same in the CAR so that it becomes a bounden duty of the airlines to ensure that passengers with disability are taken care of more appropriately while they are on-board. Equally important is the issue of offloading of passengers (S.No.19) which needs to be taken care of with all seriousness it deserves. We are of the view that suitable provision in the training module itself be provided in this behalf as well.